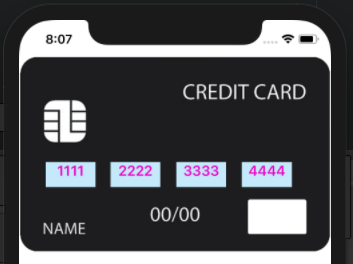 Often, while developing an application we face situations where we have a design that needs to implement different layouts that are not the ones we normally use (For example: StackLayout, GridLayout). Some mockups have a more complex design in which we need to organize some graphic controls overlapping others. That’s why, now Im going to explain you an easy way to learn how use AbsoluteLayout. To start creating an AbsoluteLayout, we only need to define the AbsoluteLayout tags, declare all the graphic elements that we need, and then, set the properties that allow us to position this elements on the screen: LayoutBounds and LayoutFlags. (I will be explaining you this bellow). Step 2⃣: Add as much graphic element as you need and add to each one of the AbsoluteLayout.Bounds and AbsoluteLayout.LayoutFlags properties. You have to set the AbsoluteLayout.LayoutFlags with “All” as a value. X and Y values must be set to any value between 0 and 1. Defines the values with fixed position, unlike to the proportional, this type just get the position no matter if fits on the screen or not, for example we can add a Button in the middle of the screen of a determinate device, but if we run the applicacion in a device with a diferente size, the button position will be different. To use it, you don’t have to set the LayoutFlags. PositionProportional: Gets X and Y as proportional layout, the remaining elements are absolutes. SizeProportional: Gets the Width and the Height as proportional layout, the remaining elements are absolutes. XProportional – YProportional: Gets X or Y respectively as proportional layout, the remaining elements are absolutes. WidthProportional – HeightProportional: Gets the Width or the Height respectively as proportional layout, the remaining elements are absolutes. All: Gets all values as proportional. If you want to have all the value as absolute, just don’t set this property. If you want to mix the LayoutBound with proportional and absolute values you must set the values that you want (X, Y, Width and height), and then, you set the LayoutFlags property with the corresponding value. (XProportional, YProportional among others that I explain previously). Thank you very much! It’s a pleasure to help you 💚! 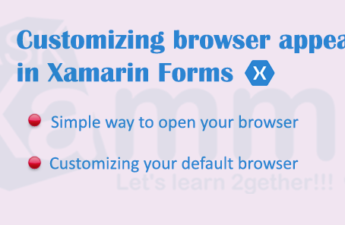 AbsoluteLayout in Xamarin Forms – AskXammy <Loved it!